Who built the USA? THANK YOU! 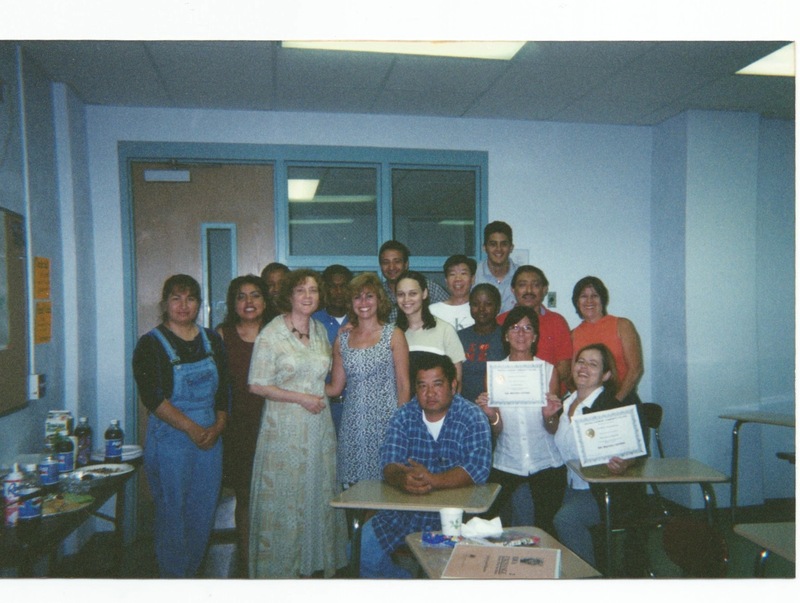 I have had the good fortune to teach new immigrants from all over the world English in the USA. From them I have learned how we are one human family. In the USA, all of us have come from nearly every continent in the world and were immigrants except for indigenous Americans. Our country was built by African slaves who suffered in slavery and with no compensation for 244 years. Thank you to all African Americans and your people. The Chinese Americans and other Asian groups helped to build America’s rails. Thank you to you and your people. The Irish, Italians, Germans, French, and other peoples who constructed our cities, our roads, farmed our land, and worked our docks. Thank you to all your people. The English brought their ideas and started a new model of government. Thank you to you and your people. Thank you to all people of all cultures and countries who were and are our teachers, nurses, doctors, engineers, architects, shopkeepers, bank tellers, therapists, computer designers, administrative assistants, social workers, athletes, police officers, firemen, postal workers, ministers, some lawyers, writers, artists, and artisans. Thank you ALL for bringing your food, creativity, music, dance, and culture to this country. In the twentieth and this century we have become a home to so many other cultures from all over the world that it is difficult to name all of them. This country would not be possible without all the Americans workers here, past and present. It has taken ALL of us to get where we are. It is time to thank OURSELVES, too. Who do you think built the USA? His words today are more than just something to read during King’s birthday month or in February during Black History month. These words are ones each one of us can consider and then act on every day, and I begin with me. The truth of his words rings true for me as I experienced it for 23 years as an English-as-a-Second Language teacher. My students from all over the world taught me that we are a brotherhood and sisterhood of mankind with different cultures. The dream of Martin Luther King Jr. is continuing through a group of young people called the DREAM DEFENDERS which was founded following the Trayvon Martin shooting in Florida in February 2012. This group of activists describe themselves as a “human rights organization, directed by Black and Brown youth who confront inequality and the criminalizing of our generation with NONVIOLENT DIRECT ACTION…” You can read about them in the Summer 2014 “The Crisis” . You can check out the website for the Dream Defenders at: dreamdefenders.org/vest. At times I still like to blow dandelions to make wishes. Today I would blow a dandelion for a BIG wish and a BIG dream. That dream would be: all of us humans would be accepting of ourselves and treat ourselves with more loving kindness and thus, be more accepting of other people. For this dream to become real, I have had to work on myself. During this process through the years I have sometimes felt physical and emotional pain that I had to release. At times the road has been rocky, but the journey has been worth it. I know that growth and becoming more aware about others and life around me is possible because I can see the changes in myself. I’m getting closer to self-acceptance, and in turn I am feeling more open and more accepting of all kinds of people. Another website that you might like which does a deep study of self-acceptance is the Self-Acceptance Project. What is your dream? Are you willing to share it?